2013 celebrated the 25th anniversary of the first silver Maple Leaf. 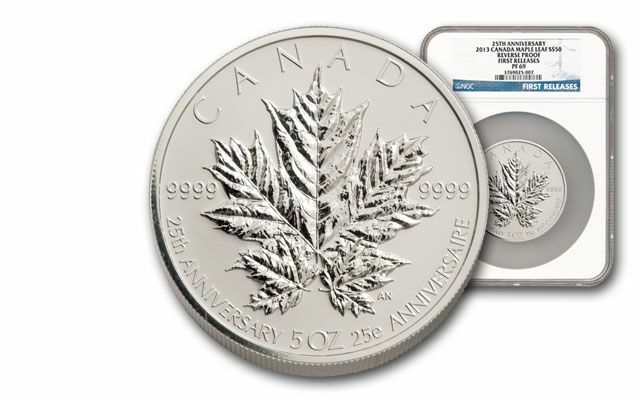 This 2013 five-ounce reverse proof Silver Maple Leaf is certified by NGC (Numismatic Guaranty Corporation) to be in Proof 69 (PF69) condition. 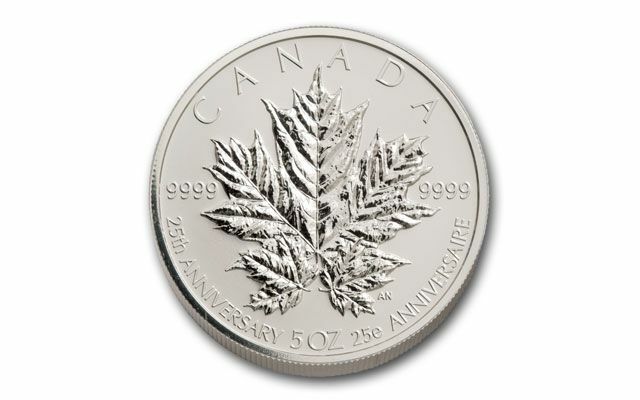 The Royal Canadian Mint began producing Silver Maple Leafs in 1988 (Gold Maple Leafs began in 1979). Called the 'Emblem of a Nation's Spirit', the Canada Maple Leaf has symbolized Canada and Canadians for nearly three hundred years. 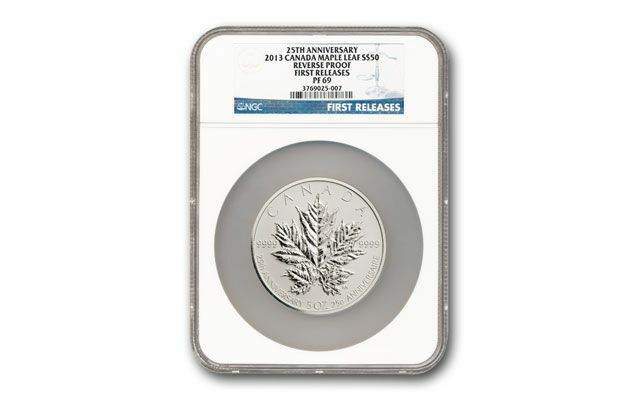 This 2013 coin is the first time the Royal Canadian Mint struck a reverse proof five-ounce Silver Maple Leaf. 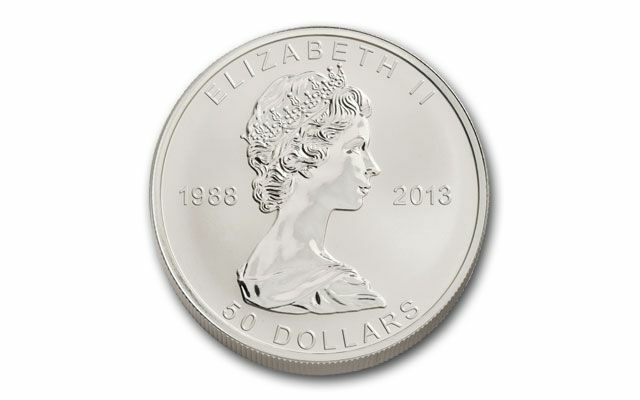 The reverse features the iconic maple leaf, while the obverse displays an embossed 50 dollars face value, the commemorative dates "1988" and "2013", the words "ELIZABETH II," and the effigy of Queen Elizabeth II from the coins first release in 1988. Each coin has been certified and encapsulated by NGC. Coins arrive in a wooden presentation case - with Royal Canadian Mint's original case - and numbered certificate of authenticity.